Official website for record company Karmic Fury Records. Includes record label biography, contact info, band listings, and Wilmington music details. We at KFR embrace all kinds of music and this Friday night we found ourselves in two very different concert atmospheres, just to mix it up. First, we caught Upstarts & Rogues at Fermental in the Ogden area. 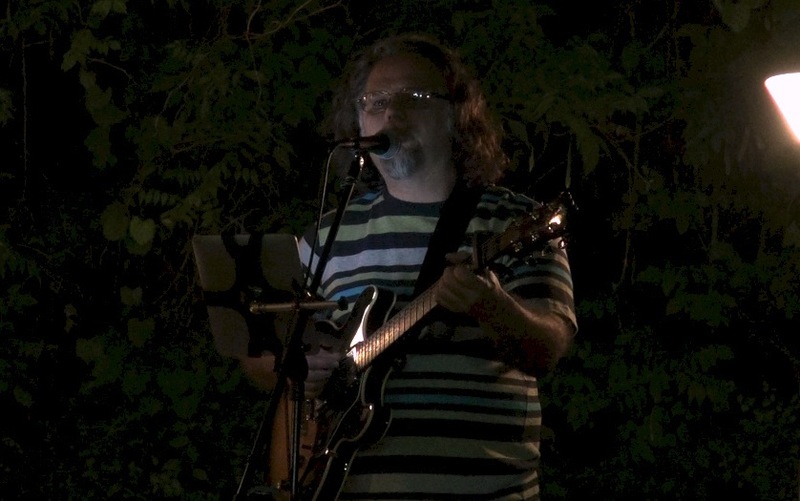 Fermental features live music in the beer garden every Friday and Saturday night. The great thing about this venue (in addition to the free Friday night wine tastings, great selection of craft beer, and the awesome outdoor seating area) is that they do live music early. By 8:00, the show is in full swing and they usually wrap up around 10 or so, plenty of time to get out to see other bands or get home at a reasonable hour. Upstarts & Rogues consists of Jeff Sanchez (of local jam band The Clams) on guitar and Jude Eden on cello, with both members contributing vocals. Their voices complement each other nicely, and the beautiful guitar/cello combination is something that isn’t seen everyday in the Wilmington music scene. Their live performances are an even balance of original songs and covers. 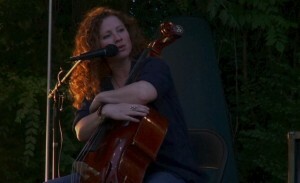 Eden is known to launch into loop pedal cello improvisation, sometimes accompanied by her own style of spoken word poetry. One of the great things about this duo is that they don’t hesitate to do their own thing. They improvise, they jam, they banter, and it somehow all makes sense. Upstarts & Rogues released their studio debut “Twain Shall Meet” in 2012, with both members showing off their own style of songwriting. The recording is a good representation of what they sound like live, with a few additional instruments and studio effects thrown in. One of the songs on the album that U&R performed live was “Micha’s Song,” a bluesy ode to friendship that transcends the sentimental and ruminates on the global effects of love: “I’m gonna write a song that sounds like what you mean to me…Cause if everyone had a little bit of what we have, there would be no war (and I’ve been to war), there would be no strife. I’m tellin you.” Eden’s soft and soulful voice delivers the lines in an understated way that exemplifies the meaning without forcing it. We weren’t able to stay for the whole set, but we’re sure a few more of our favorite originals were in there. “Thought We Had a Deal” is a tune more in the classic rock vein in which Sanchez bemoans the failed promises and implicit understandings of a relationship and “Rebuttal in Blue” is Eden’s take on relentlessly trying to make a relationship work when it’s not meant to be. Eden and Sanchez are both busy with other projects; Sanchez is in the middle of a busy season with The Clams and Eden is finishing up her first solo cello album, tentatively scheduled for release this fall. Catch one of Upstarts & Rogues’ rare live performances if you can, but in the meantime you can pick up a copy of “Twain Shall Meet” at upstartsandrogues.com. The second part of the night took place across town at Reggie’s 42nd Street Tavern, a bar tucked away off Oleander Drive in midtown. From the outside, the bar looks like it might hold 20 people. However, the inside is actually quite vast and features several pool tables, a long bar, and a room with a stage for live music. We decided to check out a rock show to finish off our night. Doors were at 9pm, but we knew from experience that a rock show is only truly rock if it starts an hour past the time listed. We were right…ish. The first band took the stage well past 10:30. The bill featured 3 bands: Bully Pulpit from Charleston, SC; Richard Baccus & The Luckiest Girls from Raleigh, NC; and Ironhead from Wilmington. We admittedly came to review our hometown band but were glad that they played last, as we were treated to excellent sets from the first two bands. Rock and metal shows are harder and harder to come by in Wilmington, especially since the closing of beloved music venue The Soapbox in 2013, so it was a real treat to see three very talented bands really bringing it on a Friday night. 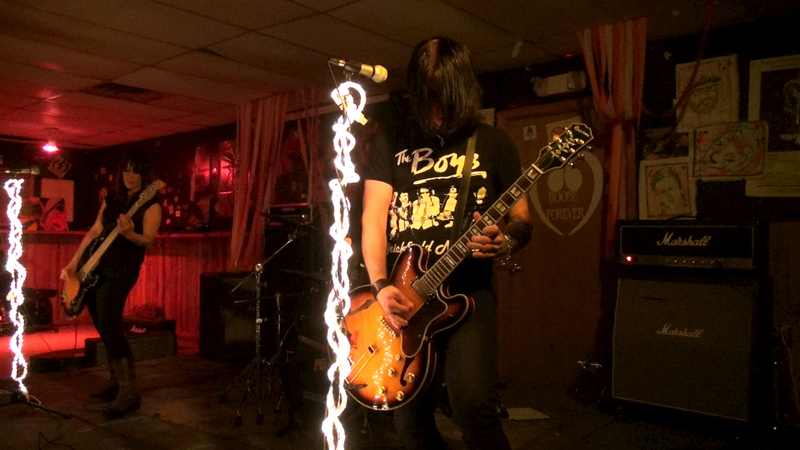 If you’re into heavier rock or punk music, Reggie’s is one of the few places in town that really lets loose. Ironhead consists of husband and wife badasses Johnny Yeagher (guitar and vocals) and Angela Yeagher (bass and vocals) as well as new drummer Mickey “Blue Eyes” Lewis. This band has been rocking since 2003 and it shows in the way they play — fearless, yet polished. They came out swinging on “Devastation Blues” and kept the energy high through the entire set. “It’s Self Destruction” featured intense lyrics such as “I’m drowning in a sea polluted. No one will rescue me…salvation’s not for me” while the instruments thundered in choreographed chaos in the background. Lewis (of famed local band The Needles) is a fairly new addition in 2014, replacing Brad Ellington who is taking a break due to a new baby. Lewis is confident and charismatic and, with Angela Yeagher, forms one hell of a rhythm section. Yeagher’s bass playing is a lot of fun to watch and listen to, and this was made especially apparent when several fans yelled out and motioned for her to crank up her amp. She did, and it rocked. Johnny Yeagher is a skilled frontman, not just because he can spit out intense lyrics while playing intricate lead guitar licks, but because he does so in a way that makes it look easy. As musicians, we can attest to the fact that what he does is NOT easy. His guitar solos are clean, creative, and masterfully executed. We can’t wait to hear more from this band, and we won’t have to wait long. 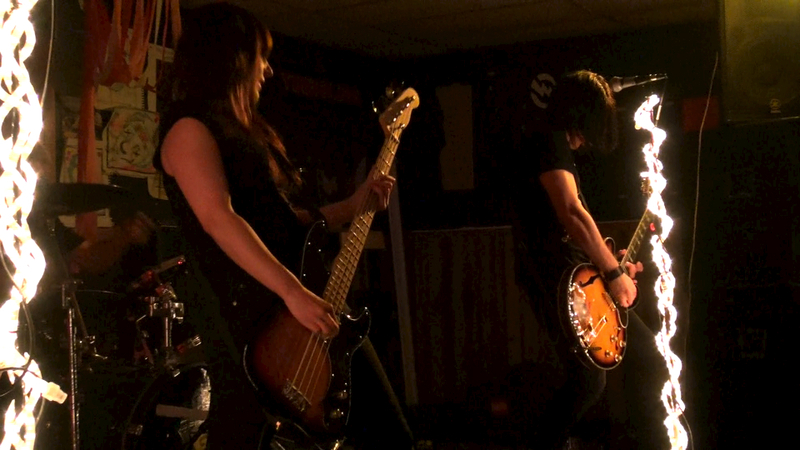 Ironhead has been busy in the studio laying down tracks for their third full length album, set for release in 2014. In the meantime, you can purchase their past releases via their Facebook Music Store or CDBaby. Whatever music style you’re into, be sure to get out and support live and local music! Folkstar’s New Single “Orphan” Released! Add Folkstar’s “Alone on Christmas” to your Favorite Holiday Playlist! © 2011-2019 Copyright Karmic Fury Records. All Rights Reserved. Copyright © 2019 Karmic Fury Records – record label. Powered by WordPress. Theme: Spacious by ThemeGrill.